Furniture Republic | FLASH: FURNITURE REPUBLIC FESTIVAL SUPERMALL GRAND OPENING ON OCTOBER 25,2013! 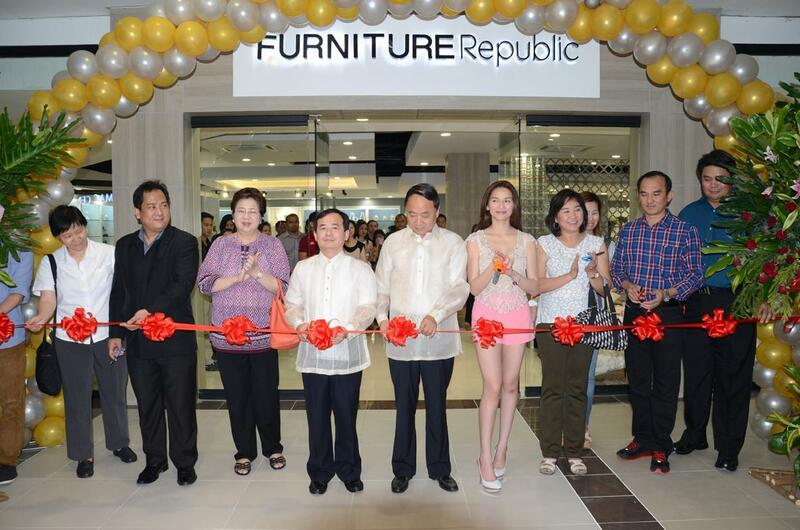 A successful grand opening attended to by some notable figures in the industry was held in October 25,2013 at the Furniture Republic Festival Supermall branch. The afternoon cocktail event started off with a simple message from the management and followed by the store blessing held by Reverend Father Sonny Arevalo of the Salesians of Don Bosco. The event was highlighted by a raffle draw where three (3) furnitures were given away to guests on the spot. - Natividad Cheng, President, Polyfoam International Corp.
Ms. Bianca Aguila, daughter of ABS-CBN’s talent manager _ Ms. Becky Aguila. Mr. Dannie Angeles, Operations Manager of Klassic Marketing and Manufacturing. Engr. Ely Rodulfo, Gen. Manager of E.R. Construction.